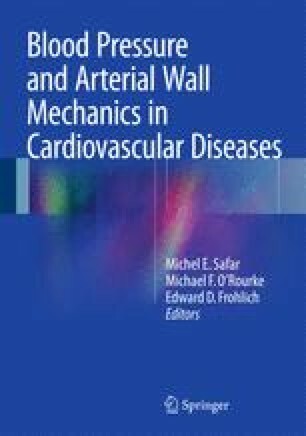 The larger part of the systemic hemodynamic resistance is located in the microcirculation. The microcirculatory networks, especially its arteriolar and capillary components, are subjected to angiogenesis in relation to the activation of the HIF-VEGF-NO pathways. In the present chapter we report experiments performed in young and adult spontaneously hypertensive rats maintained for several weeks under chronic hypoxic conditions. Chronic hypoxia resulted in activation of VEGF-induced angiogenesis, increases in myocardial and skeletal muscle capillary density, and normalization of arterial blood pressure in both young prehypertensive rats and old rats with established hypertension. In parallel and in contrast, administration of bevacizumab, an antibody directed against the VEGF protein, to patients with metastatic colorectal cancer, induced a significant increase in blood pressure in relation to a significant reduction in capillary density and a complete blunting of the endothelial function. Taken together, these experimental and clinical results suggest that angiogenesis and antiangiogenesis could have rapid and marked effects on the peripheral resistance. Moreover, the density of the capillary bed seems to play a major role in the control of the arterial pressure.